We can provide you with a number of residential cleaning services to make your life easier. When you are busy and have a million things on your to-do list, sometimes cleaning your home gets put on the backburner. It isn’t because you are lazy; it is just because you do not have enough time to get everything done and to have a spotless home. Cleaning takes a lot of time, and sometimes it is time that you simply don’t have to spare. If you find yourself stressing about cleaning your home, you should look into residential cleaning services. 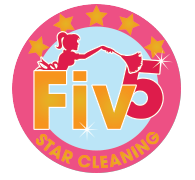 Find out more about Fiv5 Star Cleaning! At Fiv5 Star Cleaning, we have been providing residential cleaning services to homes in and around Cornelius, North Carolina for over eight years. We can take over the cleaning for you, so you have time to do other things. We do excellent work, and all of our maids are expertly trained. We can do any job from light cleaning to deep cleaning, and everything in between. We will work closely with you to determine your specific wants and needs, so you are completely satisfied with the services you are receiving. We can come to your home weekly, monthly, every other week, or even every other day. Whatever works best for you, we can work a schedule out. If you are interested in learning more about the residential cleaning services we provide, contact us at Fiv5 Star Cleaning today. We can also provide you with a number of other services like laundry, ironing, dog walking, dry cleaning pick-up, and a variety of other household services to make your life easier. We are committed to providing our customers with excellent service and to help you out in any way we can. Call us today for more information. At Fiv5 Star Cleaning, we offer residential cleaning services in Charlotte, Concord, Cornelius, Gastonia, and Mooresville, North Carolina, as well as Rock Hill, South Carolina.